Eight or so Lapland Longspurs were working the east side and southeast corner of Montrose Dunes this afternoon, October 22. These birds were tame and approachable, as Laps can be at Montrose. They weren’t quite as easy to photograph because of the incessant human activity, but I did manage to get a couple passable shots. 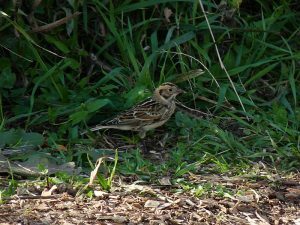 This entry was posted in Fall Bird Reports and tagged Lapland Longspur, Longspurs on October 22, 2016 by rhughes. Montrose was fairly active this morning, October 19, with a noticeable influx of Golden-crowned Kinglets and Swamp Sparrows, and a noticeable decrease in Palm and Yellow-rumped Warblers. I ended up with 43 species in about 1 hour and 45 minutes of birding. 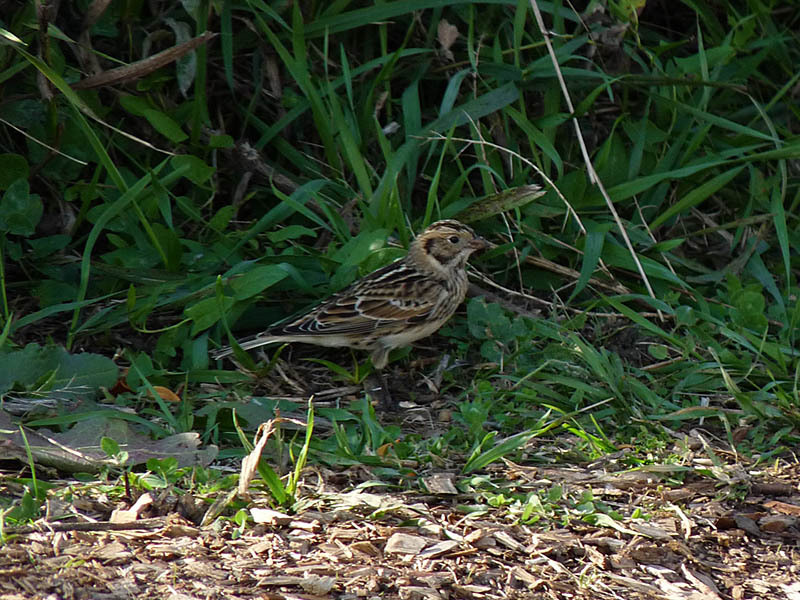 Best were a Le Conte’s Sparrow, my first for the year, and 2 Sedge Wrens. The Le Conte’s and wrens were in the Dunes. Link to eBird checklist below. 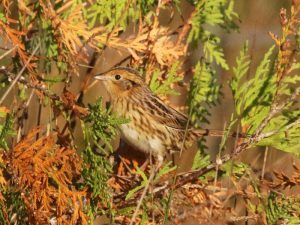 This entry was posted in Fall Bird Reports and tagged Le Conte's Sparrow, Sedge Wren, Sparrows, Wrens on October 19, 2016 by rhughes. A first cycle Franklin’s Gull was the highlight of an otherwise uneventful early morning visit to Montrose today, October 12. Mid to late October is an excellent time to see Franklin’s Gulls at Montrose, particularly when the wind is from the west and strong, the stronger the better. 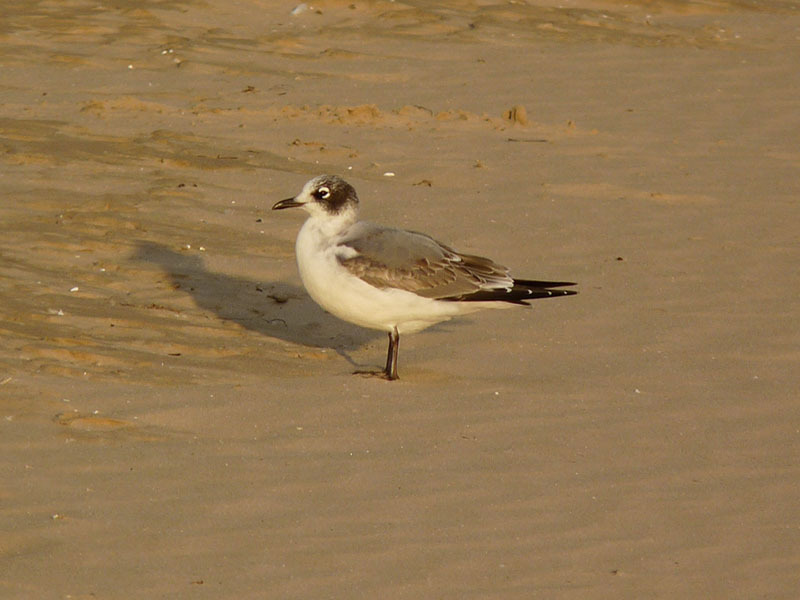 This entry was posted in Fall Bird Reports and tagged Franklin's Gull, Gulls on October 12, 2016 by rhughes. Montrose wasn’t quite as busy this morning, October 8, as I had hoped. I thought yesterday’s cold front and last night’s northwest winds would translate into the best birding day this fall. Still, it wasn’t bad (admittedly, October doesn’t do bad easily) and I ended up with 61 species in 4.5 hours of birding, which ties my September 24 count for my best day this fall. Noteworthy finds include a late Caspian Tern, a single Nelson’s Sparrow, Sedge Wren, multiple Marsh Wrens, Blue-headed Vireo, and 7 species of warblers. The kinglets, Red-breasted Nuthatches, and White-throated Sparrows were fun too. There were also good numbers of Monarchs around. 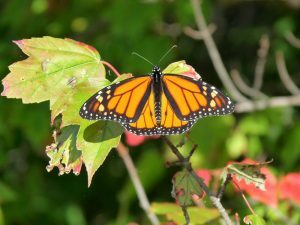 Link to eBird checklist below. 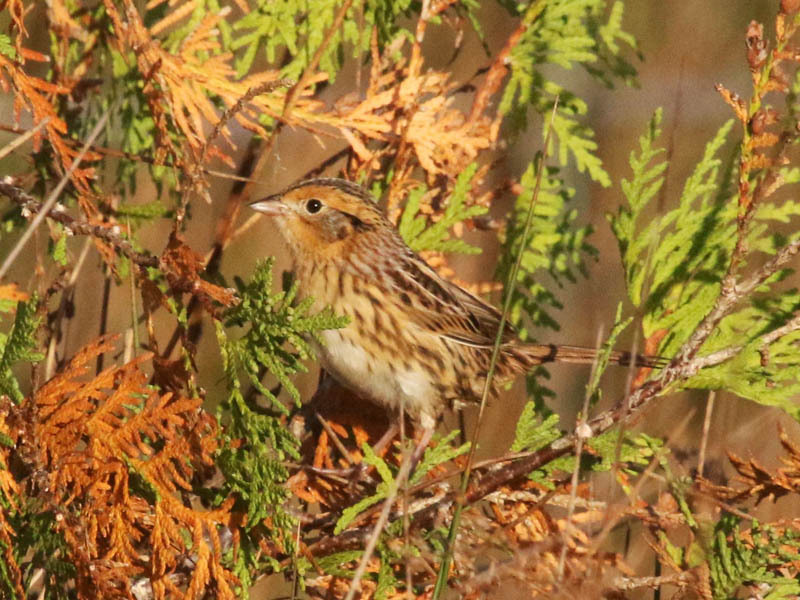 This entry was posted in Fall Bird Reports and tagged Nelson's Sparrow, Sedge Wren, Sparrows, Wrens on October 8, 2016 by rhughes. I spent about an hour and a half at Montrose this morning, October 1. I would have stayed longer but when the rain started in earnest around 8:30 I called it quits. Birding while wet isn’t an enjoyable experience, even when there are birds to look at. I ended up with 47 species, highlights and link to my eBird checklist for the day below. This entry was posted in Fall Bird Reports and tagged Hawks, Icterids, Merlin, Nelson's Sparrow, Rusty Blackbird, Sparrows on October 1, 2016 by rhughes.